Today, with the help of my pupil project team, I led the first Advent assembly at St Paul’s Poynton (ok, a little early, Advent starts this Sunday!). The children came into a dark hall. They listened and watched as we started to tell the story of the Road to Bethlehem, hearing ancient words from the prophet Isaiah, ‘the people who walked in darkness have seen a great light’. We lit a candle, for Isaiah, to light the road to Bethlehem. We sat in silence, by the light of that candle, enjoying the silence, enjoying the beauty of a moment with nothing to do, nowhere to go, just quietly waiting – waiting and watching. Why did we ‘waste time’ like this this morning? Why were the children not cramming an extra 5 minutes of literacy or numeracy into their day? Why bother with a difficult character strength like ‘spirituality’ and why bother with advent in a multi-cultural society? Well, when I first developed the Road to Bethlehem story with Riddings Infants School, in Scunthorpe, in 2004, we felt that 5 minutes silence, stillness and beauty was an important experience for today’s children – and for today’s teachers, too. We wanted the children to learn to read and write – and to be able to be still and reflect, to notice the beauty of the world around them. We wanted the staff to have a moment of stillness to reflect and breath. So I invited the staff to explore the ancient Christian festival of ‘Advent’ – a time of preparation and waiting – in the run up to Christmas. During the weeks of our Advent Festival there were moments to be still, moments to pause from the rush and the busyness of the Christmas term, moments to think that perhaps there might be more to life than numeracy and literacy, valuable though these are. Waiting is not a priority today – we want everything to be ‘now’ and ‘instant’ – but in the past, people valued the skill of waiting and we wanted the children to experience it for themselves. And we wanted the children, the pupils of Riddings Infants, to have magical memories of school, of beautiful moments, so that when they become parents, they will feel positive about their own children’s schools, perhaps breaking a cycle of fear and mistrust about education that can be handed down the generations. Spirituality is a difficult word to define; it is about things of the spirit, the spiritual life. I sometimes say it is to do with thinking about things ‘bigger’ than ourselves. It points us to something beyond ourselves, beyond our own desires and wishes. This morning it was my privilege to tell, with my fellow #pupil #storytellers, the first part of an ancient story that we will continue over the coming weeks; to sit, with children, in silence and wait for something magical, something spiritual – the birth of a child; to remember the ancient story of the Road to Bethlehem and to look forward, in hope, to the weeks ahead. We didn’t talk about religion, we shared an ancient story and we enjoyed a moment of silence together. We practiced ‘spirituality’ rather than worrying about what it meant. And we did a very unfashionable and counter-cultural thing – we waited…. What has love got to do with education? Surely, education is all about ‘efficiency’, about ‘what works’ about achieving skills and knowledge? 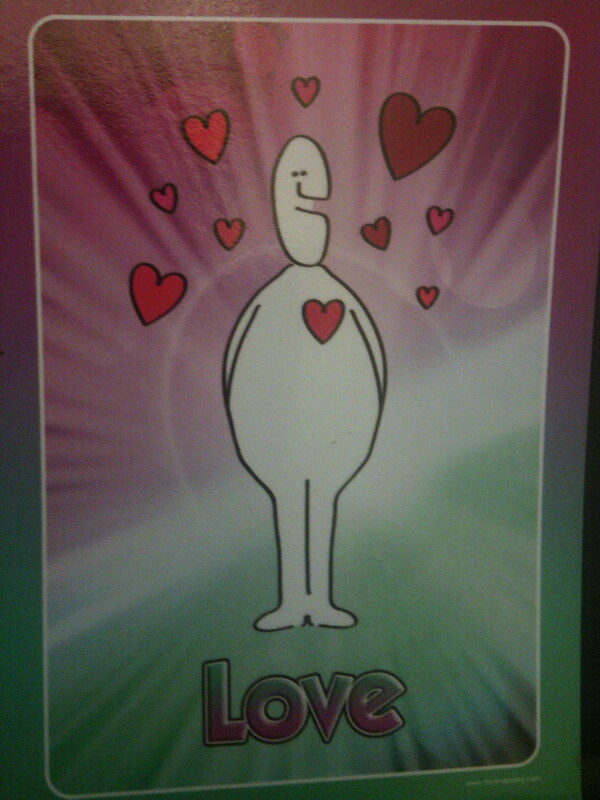 ‘Love’ has nothing to do with it! Only trendy, lefty progressives speak about soft things like ‘love’ in the context of education. Well, one such ‘trendy, lefty progressive’ was the eminent professor of anatomy and anthropologist Raymond Dart. I first came across Dart on my 1st year physical anthropology reading list at Cambridge University. He discovered and named our hominid ancestor, Australopithecus. More recently, I have re-discovered him as an advocate and enthusiast for the Alexander Technique, an embodied contemplative practice and educational philosophy I have spent 3 years learning to practice and teach. 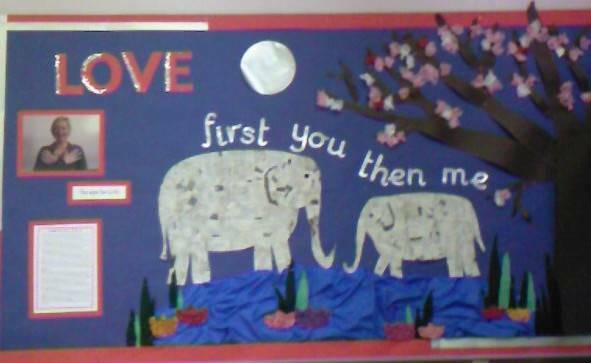 And according to Dart, love has everything to do with education. Discussing the acquisition of skills and knowledge in education, Dart wrote in his 1934 lecture, The Significance of Skill, that ‘only love can evoke intelligent concentration on the nature of the movement involved and the will or determination to remember those movements,’ (1934) and he went onto say, ‘Unless our educational methods arouse, maintain and increase enthusiasm, they are worse than useless. They destroy instead of construct,’. So, for Dart, love is an essential emotion, producing the necessary attention to enable us to learn, ‘Such attention is the outcome only of desire or love of the work,’. If pupils need ‘love or desire’ to learn, it follows that teachers need to love their subjects in order to teach, to transmit that enthusiasm for learning that will excite young learners and stay with them for the rest of their lives, long after the details or facts that they learned have been forgotten. Sadly, teachers too often work, in the UK and elsewhere in the world, in an atmosphere of fear, mistrust and externally imposed targets and measures. I do not see that as an atmosphere in which love – or any other virtue come to that – can thrive. Does fear produce good learning? Personally I doubt it. Love produces good learning, love and enjoyment and delight – all those fluffy terms that politicians are so rude about. In my opinion, considering the importance of love in education is not fluffy – it does not mean sacrificing excellence; it is fundamental to the achievement of excellence in any sphere. 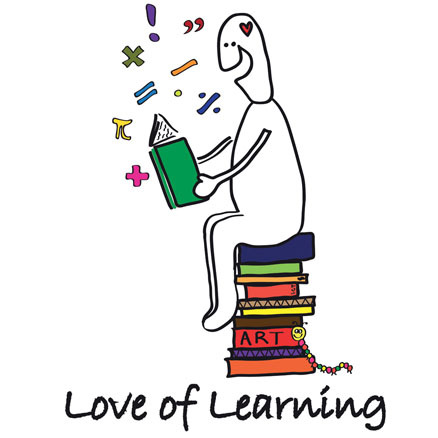 This morning I led an assembly at St Paul’s Primary School, Poynton on ‘Love of Learning’ – one of my favorite character strengths and the reason we are in school at all. And I told the story, also a personal favorite, of Anansi and the Pot of Wisdom. We used our #creativity and our #love of #learning together to create a new prayer, in British Sign Language that incorporated the theme of the assembly. And I left them a VERY long piece of paper to fill up with what they learn this week! Oh, I also added in the strength of #gratitude – because I asked them to remember to THANK their teacher every time they learn something new. Very excitingly, after the assembly, I had my first meeting with my new project team. Six pupils, years 3, 4 and 5, are going to be my project team and my research team at St Paul’s. Because, as I’ve developed and worked with Celebrating Strengths over the past 10 years it has dawned on me, slowly (yes, I am a SLOW learner! ), that this project works best when children are included as collaborators and innovators. This year, for the first time, I am also including them as researchers. Their tasks are to find out how other schools use Celebrating Strengths and what they feel the benefits have been; to help to innovate and adapt it for St Paul’s AND to notice what, if anything changes – what is different because of this project? Together, we will be asking the key question of educational research – does this make learning better? And, from my perspective, it makes sense to bring research and love of learning together because I think that learning just IS research – thoughtful, observant activity – and research IS learning – finding out something I didn’t know before or clarifying something I sort of half knew. So, together, my team and I will try out new things, and learn new things – and do research and education together. All schools aim to promote good character. Of course they do. While some commentators suggest character education is pointless, personally I would see any education that does not extend to character as pointless – and even dangerous. People with skills, knowledge and no moral compass rarely make the world a better place. I want children to think about, focus on and debate vigorously what is right and wrong, what makes for a good life, what it is worth living and working for. And to be surrounded by teachers who do the same. When I trained to teach, we were taught that the environment is an essential teaching tool – another teacher, in fact. To that end, I think it is essential that the environment in which children are educated reflects character as well as the finer points of the correct use of the semi-colon. And by environment I mean what the children can SEE and what they can HEAR. I would like them to hear and talk about concepts like love and kindness, courage and honesty, as well as to hear and discuss algebra and music, literature and history. So, how do you embed that ephemeral concept, #character, not just into the curriculum, but into the ENVIRONMENT of the school? In other words, how do we put #theory into #practice? 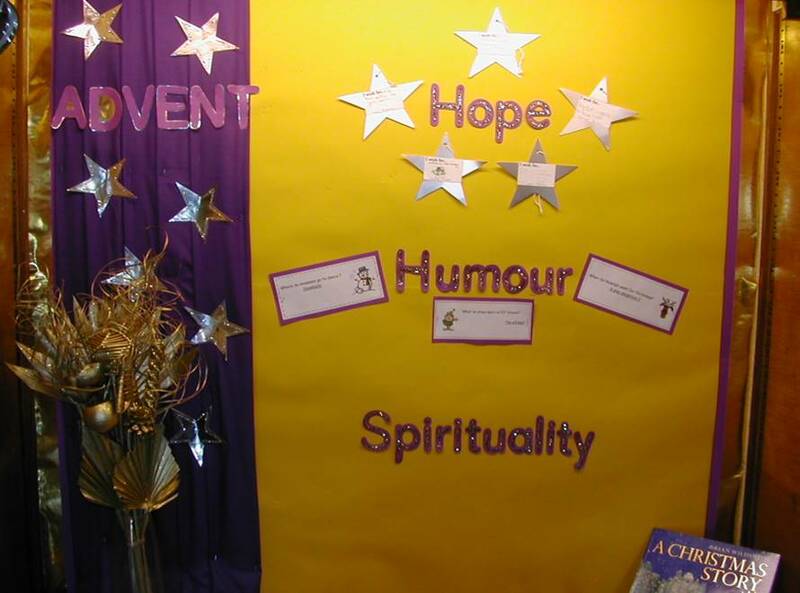 One suggestion is to have a dedicated place in the school environment where #strengths are highlighted and featured in words and pictures – a #Strengths Display Board, if you like. That is what Downshall Primary in Ilford are planning to do. So, what might a Strengths Display Board look like? This week we spotted the following people being CREATIVE – well done them! 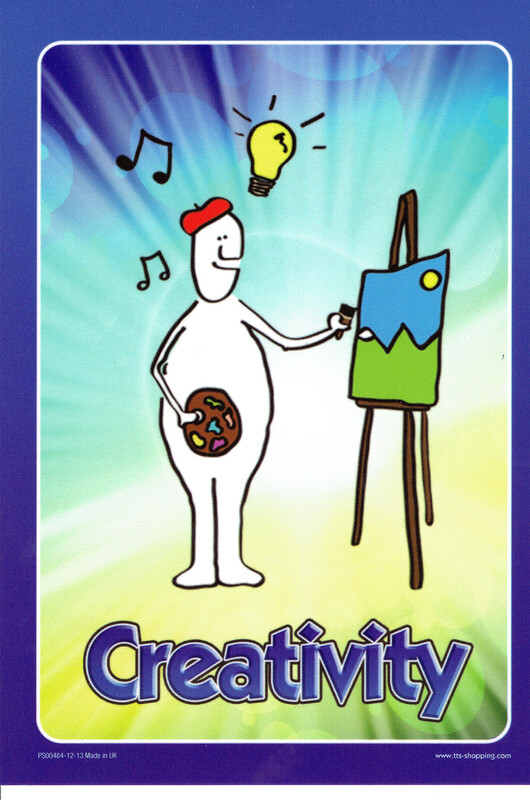 Creativity is one of my favorite strengths and here’s how I use it …. 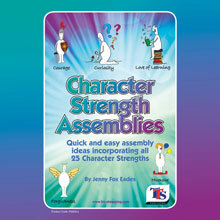 Whole School Strengths Practice – ‘Strange Uses’ (from Character Strengths Assemblies, p. 11) – who’s done it? 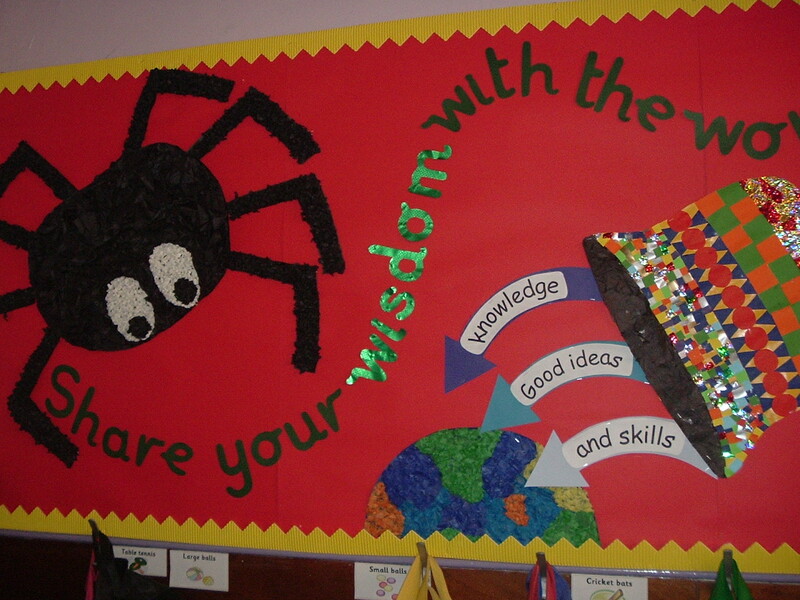 The idea is to get EVERYONE in the school thinking about and having a go at the same simple strengths practice and to sign the Strengths Display Board when they’ve done it. I think that the visible and audible presence of #character strengths in schools is not only desirable, but is essential for a school that takes seriously its moral purpose, as well as the goal of getting them to read, write and add up. The Strengths Display Board is one way to do that.